Robert Yeo asks a question - who is Charlie Chan Hock Chye? 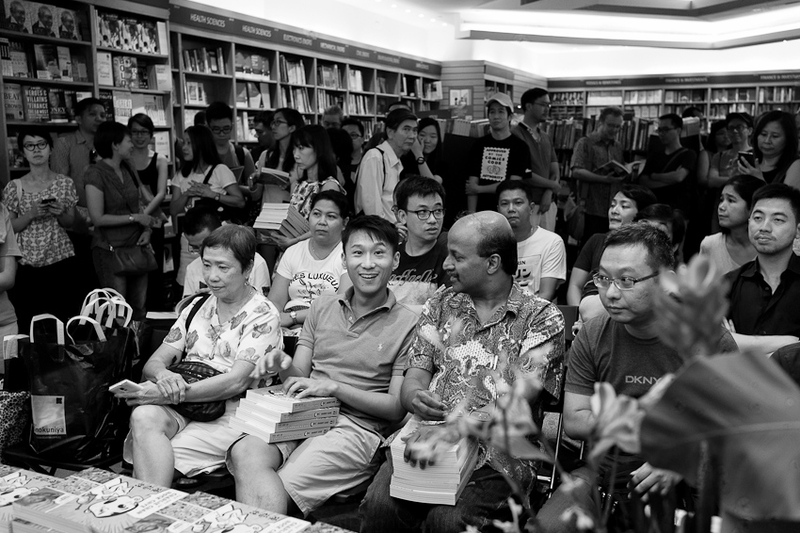 The Art of Charlie Chan Hock Chye was launched yesterday at Kinokuniya by Sonny Liew. Recent controversy does not seem to have dampened enthusiasm for the book - Kinokuniya’s main store sold out. The fact Sonny is a Liverpool FC supporter also should not distract from how wonderful and important this book is for Singapore and comics. I’m half way through the book. I'll finish it by the end of the day. I think the design and art work are beautiful … and it’s funny. A great deal of research, craft, intelligence and talent has gone into the book. I’d put it up there with Joe Sacco, Art Spiegelman, Harvey Pekar etc as an example of how documentary graphic stories/comics shift perspectives and make you think in new ways. I grew up on Beano, Mad magazine and Commando comics (I used to look like Dennis the Menace). So I love the range of graphic styles displayed in the book. These diverse styles and influences reflect the history of comics and the theme of exploring multiple narratives, and highlight the need to tell stories at a personal level beyond the dominant orthodoxy. There is an in depth interview by Paul Gravett with Sonny here.